For Day 4 of 30 days of creativity ( #30DoC ) here is a miniature sized Huxley extruder, designed for my Quick-Fit X carriage. 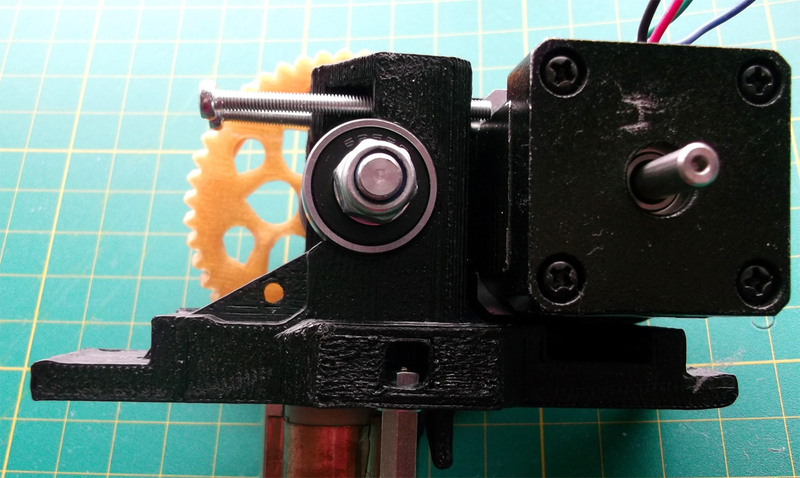 Ideal if you need a small and lightweight 1.75mm extruder for your 3D printer. 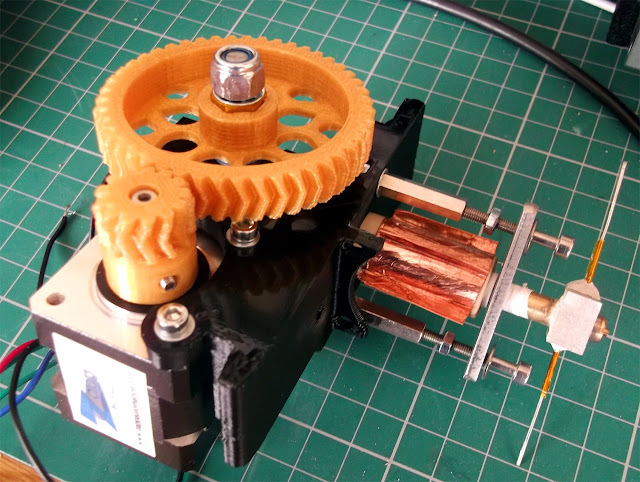 It's a direct extruder (not Bowden) using a Nema14 Motor. It also has an inbuilt mount for a 30mm fan to keep your thermal block nice and cool. It's designed to be used with the Huxley Herringbone gear set I did for Day 2. It all seems to be mechanically working, but it's not fully tried and tested quite yet. The files you need are up on Thingiverse Here. Thanks for looking, let me know if you print one. 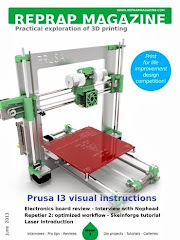 Out of interest, how hard would you think it would be to adapt this for the eMaker Huxley? The problem is that the eMaker variant has the rods stacked above each other rather than next on the X axis. Hi, I did make a quick-fit version for the Printrbot, that also has the rods stacked above each other but I think the eMaker Huxley is just going to be too small to have the extruder mounted directly on the X axis. 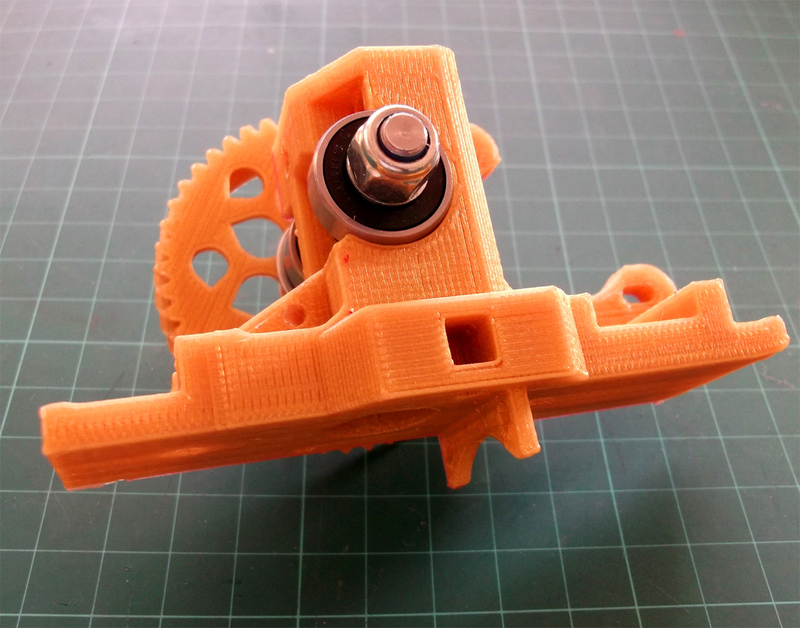 But I would like to try to make a integrated X Axis and Extruder for the Huxley at some point. 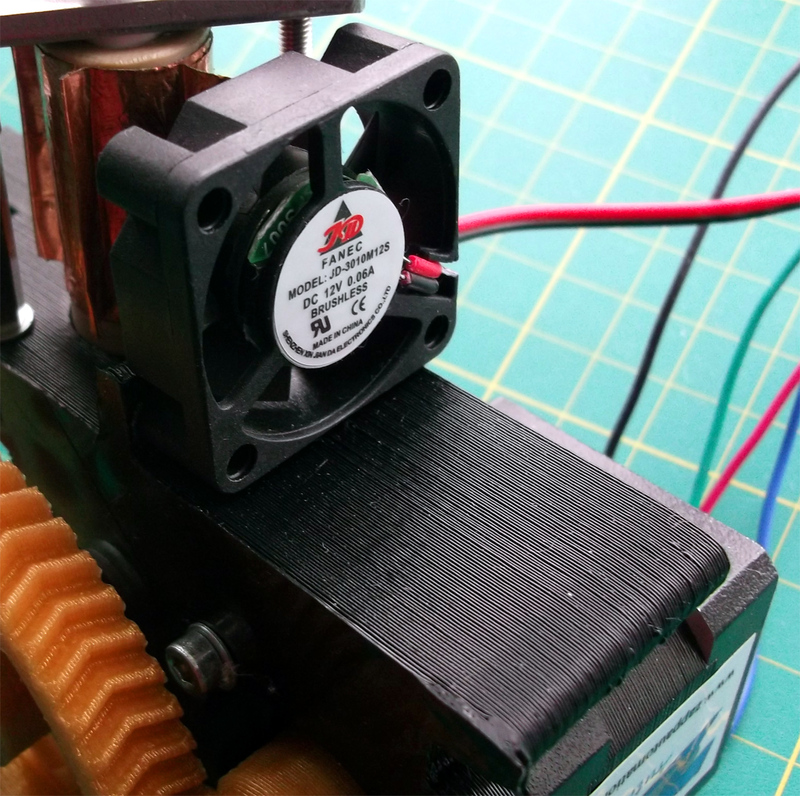 I have been following your blog and progress on the 3 color extruder. A couple of questions... have you continued any further with it and do you have a link to the hotend along with parts you recommend for your extruder? I'm working on an oversized MendelMax that I want to try to retrofit this to.